Evolution in the global tech industry, rise in demand have forced companies to outsource app development to see their ideas come to life. Consider your current resources. Do you have the right skill-sets or enough developers with the appropriate training and experience? If not, how much will it cost you to address those gaps? How about marketing, and customer service to cope with the surge of a successful title launch? This is where App Development Outsourcing shines. I think it goes without saying, and I believe we really don’t need a backing survey, that users all across the globe have turned to their digital devices like women to fashion. In a space pervaded with compact mobile phones, innovations drive mobile users towards a legal digital predilection. On an average, mobile users spend as little as 2 hours a day interacting with their mobile screens. Of this time, they tend to devote some 30 minutes fiddling with mobile apps. If there are more and more unique apps coming to flood the mobile app store, the reason is the fact that mobile app lovers are rising in leaps and bounds. Among all types of mobile apps, what has dominated the major portion of the app market is gaming, ecommerce, social networking, education and lifestyle apps. Outsourcing companies who specialize in mobile software development will delegate a professionally-managed talent team to the project. It is important to compile accurate legal documentation for the project, from design specs to non-disclosure agreements. You can arrange for the team to work on specific areas of your program, if you intend to handle some of the app’s core functions yourself. Workflow management tools will track the activity schedules. A project manager will be your point of contact. This expert will be briefed on your needs and convey them to your team. Scheduled meetings with your manager (or the entire team in some cases) are also opportunities to see the builds stages, and maintain timelines of development. 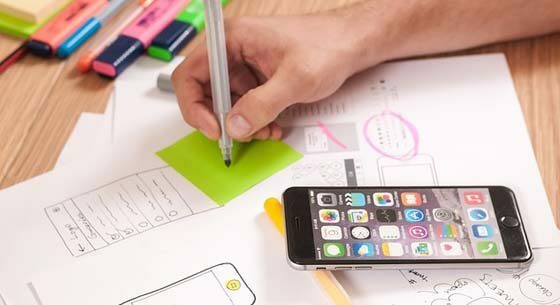 App development companies recognize the need to configure the product to run on Android, iOS, Windows, as well as personal computers for web-based applications. Even if you start on one platform, defining which future platforms your app should be available at an early stage of build, will save significant costs in rebuilds to retrofit the framework coding. Deciding later you want to explore iOS and have only planned for Android, is almost a complete rebuild. A reputable software development outsourcing company will have a dedicated QA team with a state of the art lab. Projects will go through strenuous quality control and troubleshooting to locate bugs, and make your product as glitch free as possible. This includes manual and automation testing, security testing, Functional testing and many more QA control services. The best apps out there can be vulnerable to hacks if they’re not carefully subjected to security test. A dedicated and skilled in-house quality assurance lab is meant to take on this challenge. Business apps, should have solid security mechanisms to safeguard connections to customer databases, credit card transactions, and other core elements of personal data, not to mention the reputation of the company itself. The success of your app will rely heavily on showcasing its features to an interested market audience and to convince them of the benefits. An experienced outsourcing company will take care of your app’s marketing strategy if you desire it, using time-tested marketing methods, industry experience, and media contacts to get the word out. A well-crafted app marketing plan may highlight user reviews that are objective and offer constructive criticisms. A successful launch is only half the work and your development team can be put in place for patches and new features down the line. A tech maintenance team will take care of your servers while a customer service team will be ready to handle enquiries.